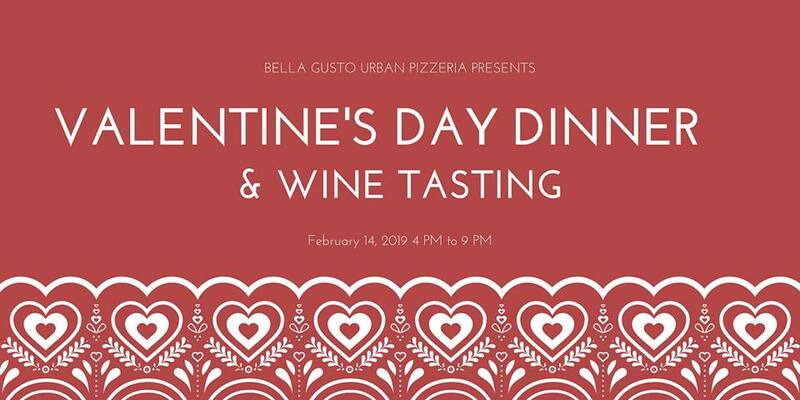 [[THIS EVENT IS SOLD OUT]] Enjoy a delicious and intimate 3-Course Valentine's Day Dinner, including one shared appetizer of choice, 2 entrees of choice, and one shared dessert of choice. In addition to your meal, you'll be given three tastings of our newest wines, featuring a Prosecco, a Pinot Grigio, and a Merlot. Guests will be given the opportunity to purchase a bottle of their favorite new wine at half price (a deal exclusive to this night only). Tickets can be purchased through Eventbrite. Reservations will be taken from 4 PM to close on February 14, 2019. Spaces are limited.